Silly Stuff about Ionic “adsorption” Clays is being written and disseminated these days. An urban legend now has it that ionic adsorption clays are common everywhere and that the Chinese monopoly on heavy rare earths will soon be broken by such “clays” being worked at low cost in many non-Chinese locations. This is simply not true, and obviously so, but the legend not only persists it grows. So, “Why,” I asked myself this morning does this occur. After cogitation in the shower (still legal in Michigan) I came to the conclusion that even analysts do not understand that the fact that we even have supplies of the heavy rare earths is a fluke. If the rainforest conditions in the Sichuan-New Caledonia arc of the last few thousand centuries had not occurred then I think that today, in 2014, we would not have commercial production of terbium, dysprosium, erbium, and yttrium at all. Add to the historical rainstorms a politics developed by two German expatriates in London in the late nineteenth century and a tradition of autocratic rule in China and we get a “peoples’ government” that has not cared about the despoliation of the landscape so long as it promotes the growth of Chinese wealth and power. The ionic adsorption clays are a process enabling geology. They are massive chromatographic formations. If and when they lie below rocks that contain rare earth minerals that are then dissolved in the “pure” rainwater and then “separated” by passage through the clays where the most soluble go on through the fastest and the least soluble stay behind they become heavy rare earth laden, relatively thorium free, ionic adsorption clays. Over the kilocenturies billions of tons of pure water carry a few tens of thousands of tons of rare earths through the clay. It has turned out that the light rare earths, thorium, and uranium have now mostly passed through these clays but the higher atomic numbered rare earths, the “heavier ones,” have been slower to follow, so we have now “deposits” trending sharply towards the heavy rare earths in concentrations of 50-500 ppm in southern China and in other places along the rainforest arc of the southeast Asia – Indonesian Archipelago area. The human race has had another lucky break. It turns out that if we purposely flood the high ground above the clays with ammonium salts (now produced cheaply and abundantly thanks a German chemist who was trying to stave off (and succeeded in staving off) world starvation) then the ionic forms of the heavy rare earth salts attached to the clays are rapidly dissolved into the ammoniacal solution and since this solution has thousands of times the solubilizing power for heavy rare earth salts that pure water has these heavy rare salts may be thereby “solubilized” and concentrated by precipitation with oxalic acid –abundantly available in China, not so available elsewhere, and then the supernatant solution evaporated by the hot sun in the rainforest. Then the mixed concentrates obtained go to the overcapacitized Chinese rare earth separation industry and they wind up ultimately in magnets, phosphors, lasers, and alloys. Ionic adsorption clays with heavy rare earths in concentrations from 50 to 1500 ppm have been reported in Canada, Brazil, Chile, Southwestern Africa, and Southeast Asia outside of China. There are indeed ionic adsorption clays in Viet Nam, Thailand, Cambodia, Indonesia, and metropolitan Malaysia (Borneo/Sarwak). Anywhere else in the world “clay” deposits are a mixture of ionic and lattice bound heavy rare earth species. The lattice bound ones require acid or base “cracking” to extract. Nonetheless economic recovery may be possible in such mixed deposits in the USA, Brazil, Chile, and Madagascar. Remember that recovery of rare earths from ionic adsorption clays is a one-time extraction. After the first extraction it is no longer possible to do further runs economically as the concentrations have been lowered to a non-economic point. However in many locations another million years of rain may restock the local clays. The best hope and perhaps the only real hope for a continuation of the supply of the heavy rare earths necessary for the current demand to be met is their extraction from hard rock deposits. These do not occur in China or the rainforest arc. Hard rock deposits of heavy rare earth themed minerals occur in Canada, the United States, Northern Europe, southern Africa, Central Asia, and Australia. Please note that numbers 4, 5, and 7 above are mixed ionic and lattice bound clays or, in the case of TRER, a lattice bound HREE low grade mountain of porous rock containing a xenotime analog, yttrofluorite. These “deposits” can be extracted with non oxidizing acid such as sulphuric. The rest are much higher grade deposits the heavy rare earths in which come from minerals such as xenotime, monazite, and eudialyte. I wonder how the pundits explain that Chinese investors are putting money into hard rock deposits containing heavy rare earths all over the world instead of pouring money into the “abundant” ionic clays? Why are the Japanese who actually know where all of the ionic clays are located investing hundreds of millions into trying to recover heavy rare earths from uranium and tin tailings in Canada, Brazil, and Kazakhstan? The answer, my friends, is that the Chinese and Japanese know where the heavy rare earths are best recovered without helping out their American and European COMPETITORS! Put your money where the heavy rare earths are accessible and abundant for western industry and our military. The Chinese and Japanese are doing exactly that for themselves. 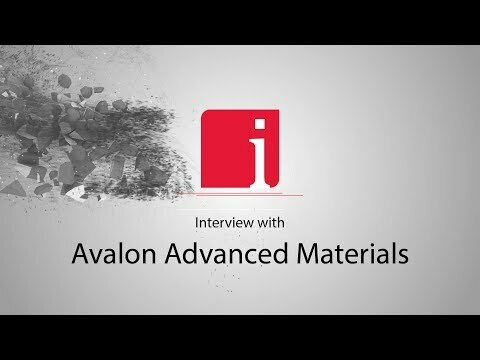 Stop saying silly stuff about ionic adsorption clays. Oh, and look for new extraction and separation TECHNOLOGIES. These will make all of the difference in costs! Agree, with Jack only new tecknologies able to compete with cost of asian labour, not high standarts of enviroment, warm climate conditions ( You need warm your equipment at countries with cold winter , you water just able to freeze. and making new plant you have to return your investing money compearing with long time working project. Only new tecknologies able compete.